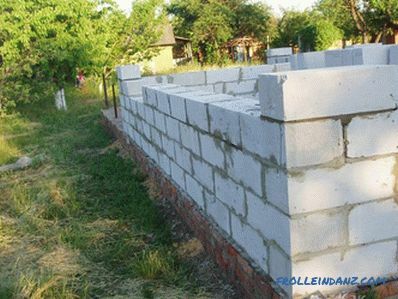 Gas silicate blocks are a convenient and versatile material for building a house. They can be used not only for the construction of supporting structures, but also for the construction of internal partitions. The construction of the house takes place in a short time, since the material is lightweight, and it is also not as difficult to lay it as it may seem at first glance. 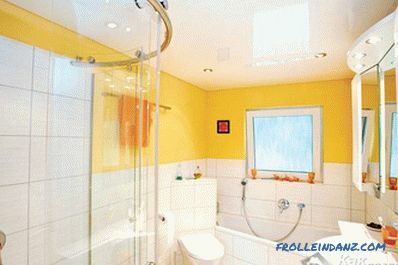 But still it is necessary to follow the rules during construction to make the house durable. One of the main rules is that construction is prohibited in wet, rainy weather. Consider all the nuances below. 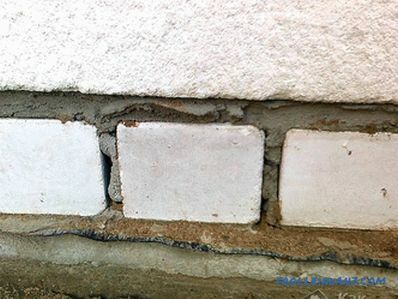 Before laying the gas silicate blocks, you need to lay a waterproofing layer . Usually use ruberoid. Roofing material is laid on the grillage, if the foundation for the house is columnar, or on the leveled surface of the foundation. 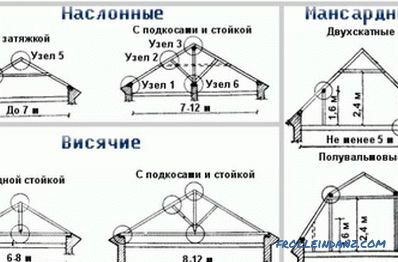 Roofing material is fixed on the solution, which is prepared either manually or in special equipment, the ratio is 1: 3. Some people prefer to lay blocks on this solution, but do not do it - it is very inconvenient. You may come across small stones or quite large ones, you have to constantly remove material from the site, remove interfering particles, re-install blocks, waste of time. 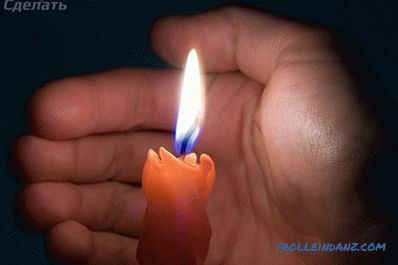 Special glue - what you need to work. When the waterproofing layer is laid, you need to put a small layer of mortar on top of it and let it dry, now you can start building. Naturally from the corners. Guides are installed at each angle; these can be ordinary reinforcing bars, ideally even, mounted vertically in level. Either metal corners are also installed vertically. 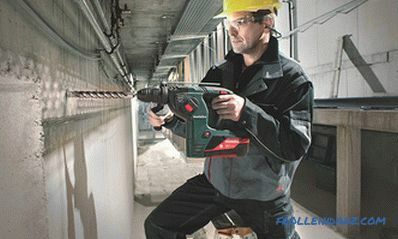 Connect each guide cord-mooring at the height of the first row of blocks, and you can proceed to the main work, that is, laying. The laying of the first row starts at each corner. You can not have a sawn element on the corner. Somewhere in the middle of a row, you will need to insert a cut out of a block. 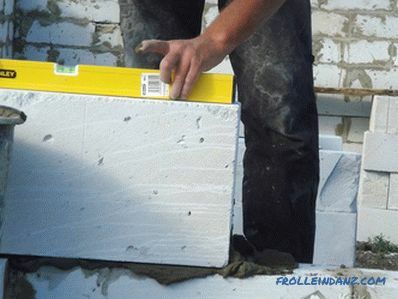 Then glue is evenly applied to the surface of the waterproofing layer, the first block is placed on it. 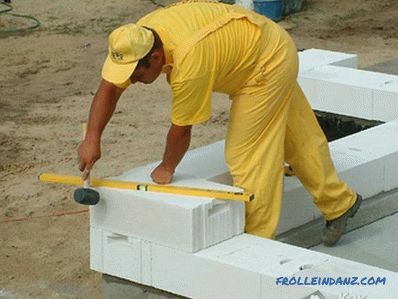 Strongly press the blocks to each other will help hammer mallet. Anyone can dilute the adhesive person. Take a wide container, for example, a bucket from under the water-based paint. Pour water into it (less than half the capacity) and pour the glue a little, gradually stir it with a drill. 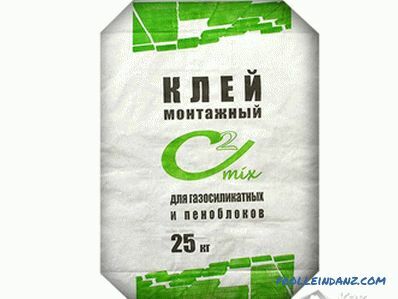 It is necessary to pour and mix the glue so much that in the end a composition similar to sour cream will turn out, it is suitable for laying. 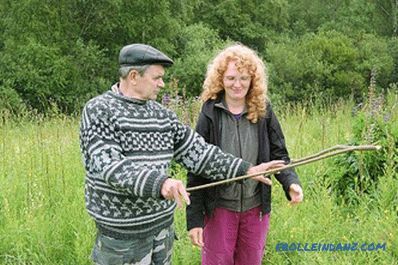 By forming an angle on one side at home, you need to go to another corner and do all the operations with it, as with the other corners. Further from the installed blocks begin to lay out completely the first row. Be sure to follow the vertical and horizontal installation. Glue is applied on the ends of the blocks and on the surface of the base. The first row is laid out, inspect it. Each element must stand in such a way that no corner will protrude or break the plane of the structure. If there is a laying defect, it can be cut with a special float and, thus, make a smooth surface. Now you need to make the marking of the internal walls, that is, you need to stretch the rope level from the side blocks. Thus, the inner first rows for wall partitions are made perfectly even, as is the outer first row. 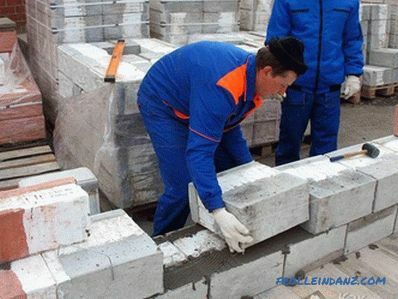 Laying is no different: put glue on the foundation, on the ends of the blocks, the elements are connected. Start building again from corners. Laying should be done in a run-up, as if it's not blocks, but bricks. Let's look at the blocks installed on the corner, if the first row of blocks fit on the right, then now we start laying the opposite on the left. So we do it with every corner, in the end we will achieve that the whole structure will be laid out. So, row by row is gradually laid out, and of course we don’t forget about the internal walls , we carry them together with the outer walls, monitor the verticality and horizontal installation. 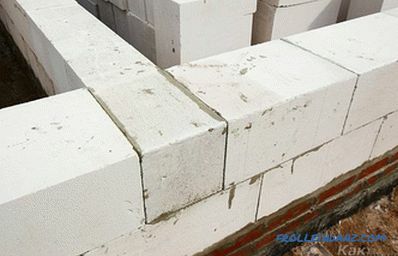 The convenience of building gas silicate blocks is that most of the openings can be cut through after the walls are fully erected, this can be done with an electric jigsaw. You do not need to forget only, to lay in those places where there will be an opening, a metal jumper.